Product code: ES6805 Categories: Sold Items, Sold Rings. There is something special about a genuine Art Deco ring from the 1920’s adorning your finger and here is a very elegant hand made platinum Art Deco 1920’s sapphire and diamond ring that would suit any occasion including making a spectacular Art Deco sapphire and diamond engagement ring. Set with an incredibly vibrant natural sapphire that measures 0.92 carats, the sapphire has a perfect blue that really stands out on its own. Then it is flanked by the beautiful diamonds on each side which add an elegant brilliance to the ring, and these diamonds total 0.56 carats and sparkle magnificently. From left to right the ring measures 14.4mm by 6.6mm wide at the sapphire and the platinum band is in wonderful condition as are the double claws holding the stones securely in place. 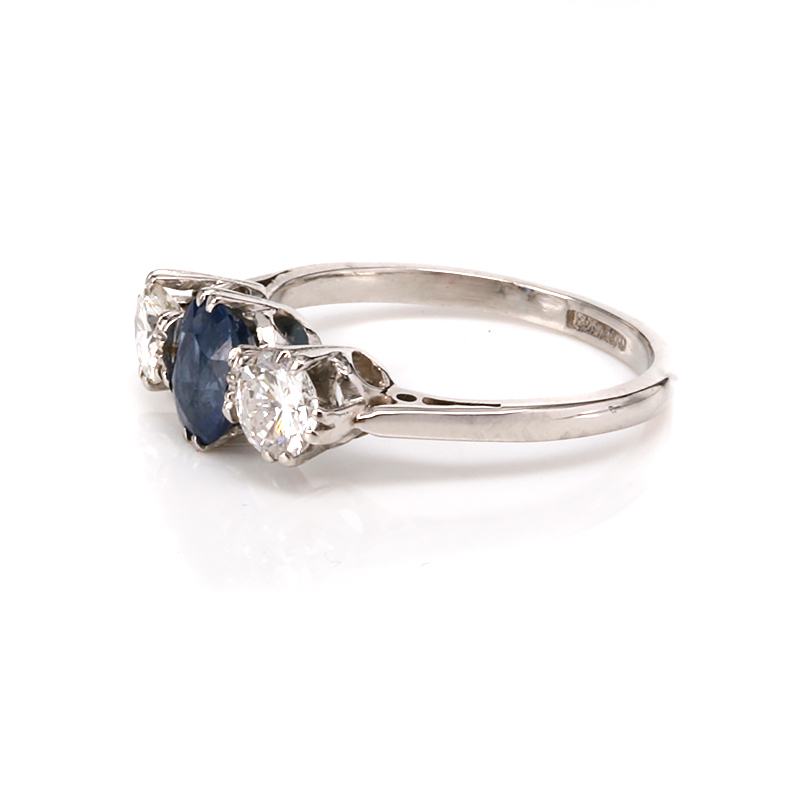 A wonderful example of an Art Deco sapphire and diamond ring at its finest. Tags: Art Deco Engagement Ring, Art Deco Ring.